: I'M 36YRS.OLD AND MY MOM IS A FAN OF HIS SO OF COURSE I GREW UP WITH SEEING HIS MOVIES AND HIS MUSIC,SO IT WASN'T HARD TO FALL FOR ELVIS.MY MOM IS ALWAYS TELLING ME THAT I WAS BORN IN THE WRONG YEAR. "My Message to Elvis": PLEASE STRAIGHTEN OUT TODAYS MUSIC THAT OUR TEENAGERS ARE LISTENING TOO. : NO,BUT I'M GOING THIS YEAR. Thank you for your comments on our survey. 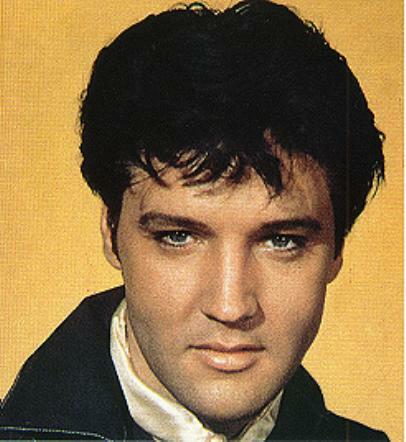 Elvis was certainly a stunner! He is very much adored by millions of fans world wide, he has had a huge impact on our lives. Elvis was a remarkable man with untouchable talent. No one will ever match his talent or personality. Elvis had it all, stunningly gorgeous, genuine personality, warm and caring nature and a gentleman who loved his fans, we are the lucky ones! Christie, I bet you`re excited to be going to Graceland. I hope to visit his home someday. I believe the experience is quite over whelming, many fans have said, his presents are felt when entering his home. I`m sure Elvis would shake his head at the type of music teenagers listen to today! Christy below is one of your favorite song lyrics, Enjoy!